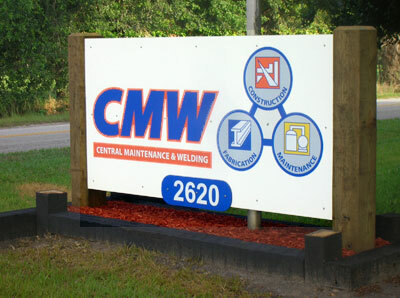 At CMW, our mission is to ensure that your operations are running at peak performance. To this end, we provide a number of services which can help you continuously meet your customers' requirements. Not running at full efficiency can cause major problems, not only for you but for your customers as well. We take great pride in providing these services, providing them on time, on budget, correctly, and safely. For over fifty years, we have been providing our services to clients across Florida, the southeast, Midwest and Western United States and the middle east. Our mission and commitment is to provide you our customer a superior job and project execution now and in the future. We take great pride in providing these services, providing them on time, on budget, correctly, and safely. For over forty years, we have been providing our services to clients across Florida, the southeast, Midwest and Western United States and the middle east. Our mission and commitment is to provide you our customer a superior job and project execution now and in the future. A main component in providing the finest quality work to our valued clients is hiring the best people in the industry. For our field crews, we are extremely selective and utilize the top craft labor personnel. Our experience has proven that only by using the right individuals for the job will the work be done to our standards (safely, correctly, and on time). We stake our reputation on our teams, and our commitment to hiring the best certified, qualified tradecraft has helped us stay successful for more than four decades. Based in Lithia Florida, CMW was originally founded to work in the phosphate industry by Hank Varnum and two other partners. Since its inception in 1966, the Varnum family has retained ownership of CMW, instilling the family’s values and work ethic into the company’s culture. CMW is based on the firm commitment that making our customers successful in all dimensions is the only way to do business. Along with our passion for providing high quality services, there is also our on-going resolve towards creating and maintaining a safe work environment. We demand that all our projects and employees meet the highest safety standards. Our staff is regularly trained and kept apprised of the most current safety standards in order to keep them and your personnel safe. Our project managers are held accountable for maintaining these safety standards and take pride in their safety records. Safety will never be compromised in order to complete a project or to lower costs.